Virginia is now home to 206 licensed breweries, making Virginia No. 13 in the United States for the number of brewers. WASHINGTON — Virginia’s craft beer industry has hit a milestone, topping 200 licensed brewers in the state. Gov. Terry McAuliffe made the announcement on Thursday. 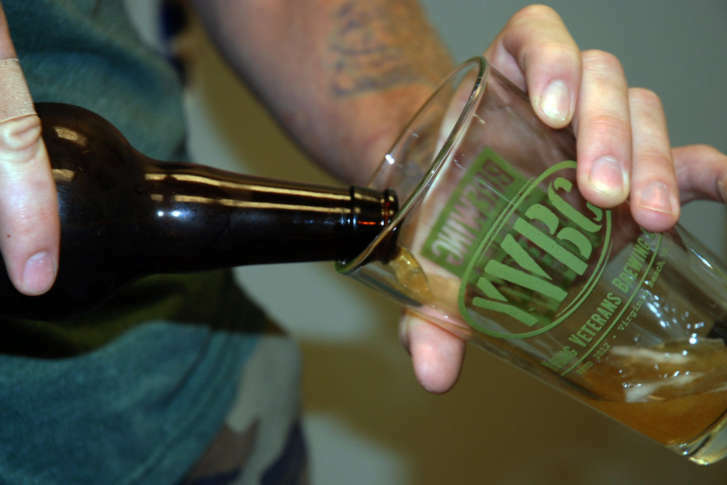 Virginia is now home to 206 licensed breweries, making Virginia No. 13 in the United States for the number of brewers, and moving the state ahead of North Carolina. Maryland is home to 94 licensed brewers, according to the Alcohol Tax and Trade Bureau, and 13 brewers are licensed in D.C. The number of licensed brewers does not necessarily represent the number of breweries up and running, because the licensing process is one of the first steps brewers must take before they can start operating. California, Washington state and Colorado lead states for the number of craft brewers. According to the Brewers Association, California has more than 600 craft breweries. Colorado and Washington state each have more than 300. The governor’s office cited a newly released economic impact study that shows Virginia’s beer industry now contributes more than $9.3 billion annually to Virginia’s economy. “The beer industry is a significant economic driver that spans several sectors including manufacturing, agriculture and tourism,” said Governor McAuliffe. “I am proud of the success we have had making Virginia a premier destination for craft brewers and consumers from all over the world,” he said. The number of active brewery licenses in Virginia has grown by 468 percent since 2012, according to Virginia’s Department of Alcohol and Beverage Control. Virginia’s beer industry employs more than 28,000 people in production, distribution and retail, according to the Beer Institute.